The extensive use of turmeric, mainly in food preparations makes the turmeric market a playing field. Besides its bright yellow color, turmeric features a number of medicinal and antibacterial properties. Turmeric boasts a number of health benefits. This is mainly because of presence of phytochemicals, namely bisdemethoxycurcumin, demethoxycurcumin, and diferuloylmethane. This composition manifest as antibacterial, antioxidant, antiviral, and anti-fungal properties. Such composition of turmeric helps bring down sugar levels, improve overall well-being, and even fight cancer. Turmeric finds extensive applications in cosmetic products. In some Eastern cultures, turmeric has traditionally been used as a skin toner. Turmeric mixed with some herbs made into a paste used to be applied directly on the skin. The paste serves as a deep cleanser for antiseptic and anti-acne use. Turmeric also helps control wrinkles and evade their early formation on the skin. Food and beverages and pharmaceuticals are key end users of the turmeric market. 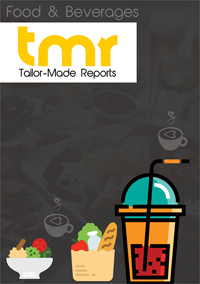 Urbanization and changing lifestyle have in general boosted the growth of food industry. Prepared foods, spices, sauces, and cold cuts are some foods that use spices such as turmeric. Turmeric is an essential spice used in several Eastern foods, predominantly food preparations in India, Malaysia, and Thailand. Asia Pacific is a key consumer of turmeric. Turmeric has traditionally been used in several food preparations in several countries of the region. Turmeric finds its use for its bright yellow color, and for its medicinal value. Besides this, turmeric is taken orally with water for clearing the throat. Entry-barriers are practically non-existent in the global market for turmeric. As a result the market is choc-o-bloc with regional and global players. This not just makes the landscape fragmented but also highly competitive and diversified. Against such a backdrop companies are seen focusing on enhancing their brand values by churning out quality products and proactive marketing strategies. They are also seen indulging in competitive pricing and bolstering their distribution networks to up sales and surge ahead of their rivals. Overall, such strategies are serving to catalyze growth in the market. Fuelling growth in the global market for turmeric is the growing awareness about its myriad health benefits. This is mainly on account of the presence of phytochemicals, namely demethoxycurcumin, diferuloylmethane, and bisdemethoxycurcumin. Further, turmeric curcumin has important nutrients needed for the growth and development of the body. It also helps to bring down blood sugar levels, better liver health, boost effects of chemotherapy, battle cancer, and so on. This is because of its antibacterial, antiviral, antioxidant, and anti-fungal properties. Apart from its health benefits, it also adds flavor and color to cooked food. Yet another important factor majorly boosting the market is the usage of turmeric in cosmetic products because of their ability to heal the skin and condition it too. It also brings about deep cleansing and has antiseptic and anti-acne properties. It can control wrinkles and crease formation on the surface of the skin as well. However, despite so many unique perceived benefits of the products, players find it difficult to progress in the global market for turmeric owing to cutthroat competition, volatility in prices of raw materials, and difficulties posed by adverse weather conditions. To overcome such hiccups these players are seen banking upon product differentiation through unique value proposition. Some of key end use segments in the market are food and beverages and pharmaceuticals. Among them, the former is responsible for driving most of the demand in the market. Turmeric finds widespread usage as an edible coloring agent in a range of foods, most popular of which are curries. Besides, turmeric roots paste is used to marinate different types of meat and extend shelf life. Furthermore, it is also used in turmeric tea and smoothies, which are prepared with certified organic turmeric and do not contain any artificial additives and sweeteners. From a geographical standpoint Asia Pacific is a prominent region due to the high usage of turmeric extracts for culinary purposes. India, China, Malaysia, and Thailand are some of the main drivers of the market in the region both in terms of production and consumption. Agriculture still forms the backbone of most economies in the region and India is the main producer of turmeric mainly on account of the suitable weather conditions and right kind of soil in the region. Our market intelligence reports provide actionable insights on some of the leading vendors in the food sector including Kraft Heinz, Unilever, Givaudan, ConAgra, Nestlé, 2 Sisters Food Group, The Hain Celestial Group, General Mills, Dr. Schär, and Epermarket. It finds that they are eyeing new untapped markets and strengthening their distribution channels and packaging to grow their market shares.